The Small Barn restaurant is our seasonal indoor restaurant. 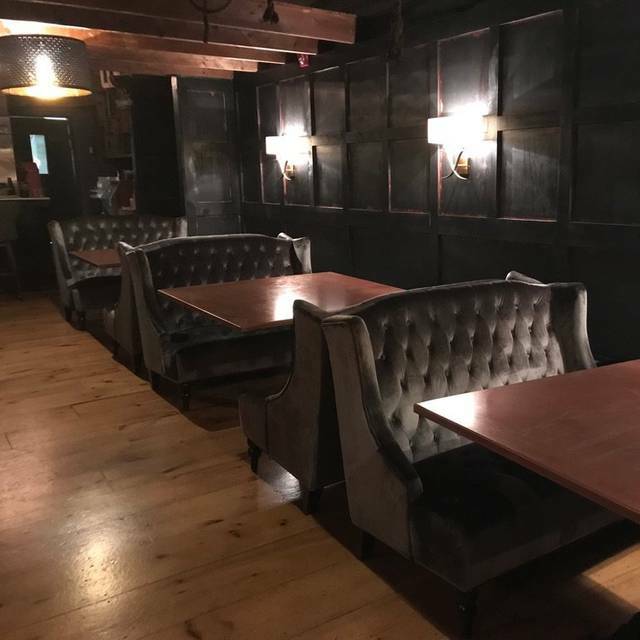 We have very intimate seating, cozy booths and seats at the bar, with a lovely fireplace in the corner. The restaurant starts Nov. 1st until Mother's Day in May. We also have The Barrel Room that seats up to 16 people, and must be booked through a manager. Please go to our website and book online through Open Table. Be aware that we have certain turn times for tables and that we want all of our guests to get the same experience as everyone else. For example, a table of two would only have a turn time of one hour and a half, as a table of 12 would have a turn time of three hours. If you can't book online for a particular time, it might mean that the time you want is unavailable. Either call the restaurant, or try a different time. Online bookings are maxed out up to 8 people. For larger parties contact the restaurant or Nikki at nikki@honsbergerestate.com (restaurant manager). a new sauce each week - ask server for details! based on availability - ask server for details! ask server for todays selections! Our new favorite place to dine! Rustic....quiet.....relaxing atmosphere. Service & food is superb! I love holiday weekends. I used to be a very traditional family girl. However now I take advantage of doing something a little less traditional. The time I get to spend with my husband and my boys is slim so I like to make the day count if I can. Tonight’s dinner is brought to you by Honsberger Estates. . It was a great experience for the first time. We were greeted at the front entrance with a smiling face and seated right away. The server was very knowledgeable of the food and drinks that were available. The only unfortunate part was that the red wine choices were limited. The lunch was fantastic the food great and the server was very attentive to our party. Overall very everyone was pleased with their choices and enjoyed the rest of our time at honsberger’s. Really excellent food and service. Very quaint and pleasant atmosphere. Love the place! Highly recommend!!! A great spot for dinner or lunch. 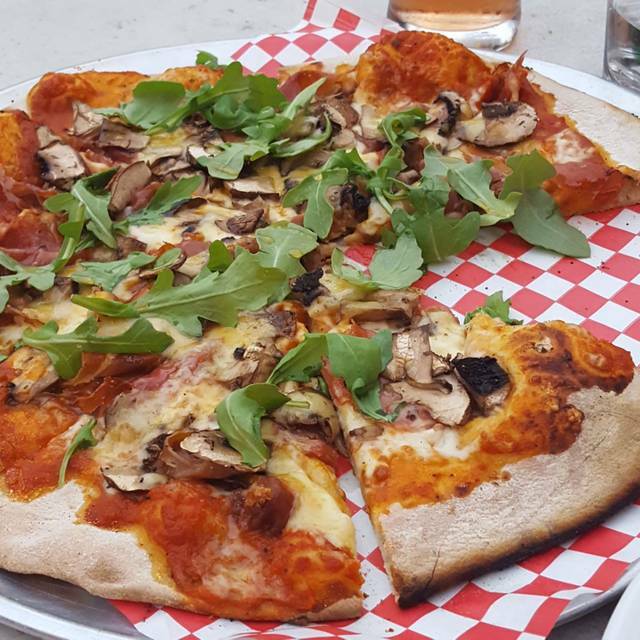 Their patio with the pizza oven is a perfect spot to enjoy the outdoor ambiance. The burger is amazing with that kiss of blue cheese. Solid value great tastes. A quaint spot to take a break from your wine tour. Fabulous as usual. Lunch with the girls, ceasars are like an appetizer with just the amazing garnish. Highly recommend to everyone! This was my second time. I came in January with a group of 20 plus women for a friends birthday. The food was incredible! I couldn't wait to come back. So, for my birthday I had my husband take me. Unpon arriving I was told there were a lot of items not available due to a new menu launch. However the chef called in sick so they were sticking to what was left. Not sure who the replacement was, but they were not ready for this new resposiblity as the food was terrible. To start I had a pear and blue cheese salad that was underdressed and with very little topping besides the pear. Next I had seared tuna on a bed of spicy greens. The tuna was so over cooked, I needed a steak knife to cut it and it was missing a red sauce. Next the service. When we arrived there were exactly 10 other people dining (two tables of four and one of two) in the small barn. It took us 2 hours and 40 minutes to have a stater, a main, and coffee with dessert. I had to flag down our server numerous times for items such as salt and pepper, water, a knapkin, a beer for my husband, the dessert list, the bill...etc. Our waitress was so preoccupied talking with staff that I eventually started flagging down a lady that I assume was the dining manager. I'd be surprised if she didn't noticed how neglected our table was. Simply put .. fantastic service, incredible food. Already planning next visit!!!!! Delicious breakfast on Sunday. Beautiful venue....a must stop in the 20 Valley Region. 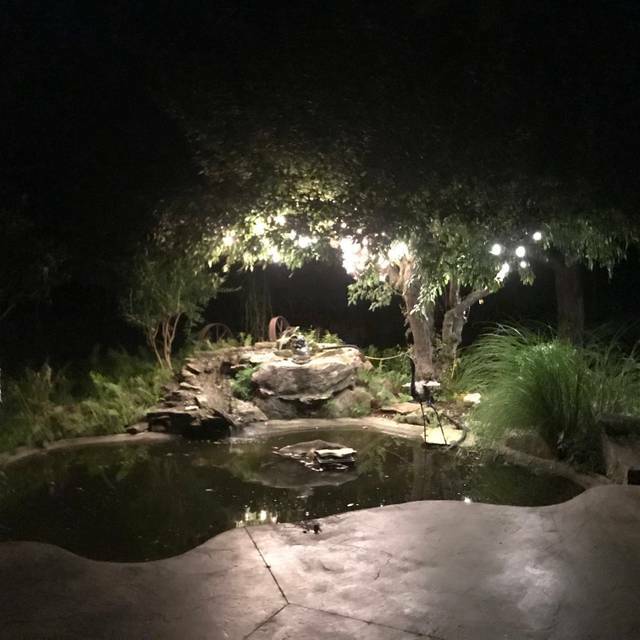 The ambiance was wonderful. Nice live music. Food was just OK. Chicken sandwich was very dry and bland. Gnocchi was hard and plain. But the Ruben sandwich was great. 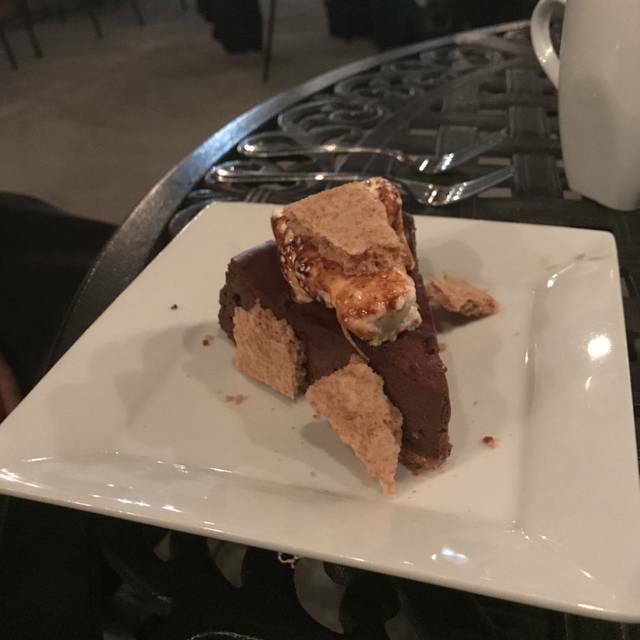 This was our second visit to Honsberger for dinner and we thoroughly enjoyed both experiences. This time there was live entertainment on the Saturday night which was perfect. We will definitely go back and bring our friends. Great food, cozy atmosphere, good wine and good prices. The service was fabulous as well! 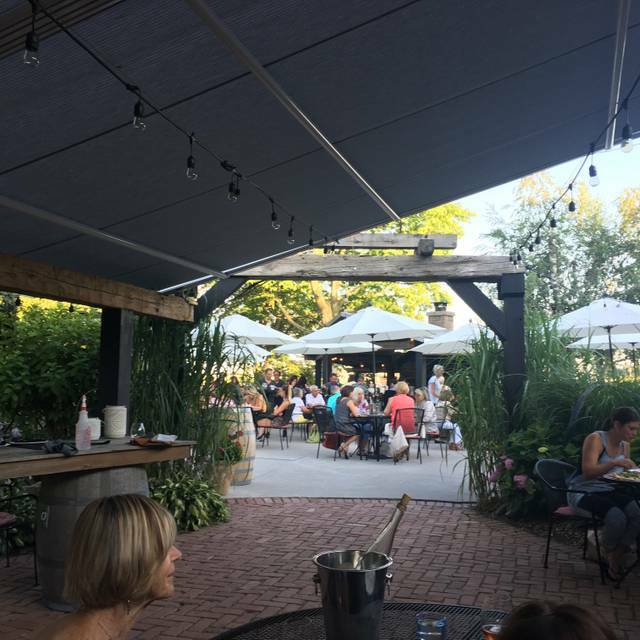 We absolutely love Honsberger Estate's Little Barn restaurant -- the menu has great choices and everything is delicious! Really great place. Love the ambience. Would love to see more vegetarian options but I really enjoyed my mussels and everyone else liked their meal. Will be back and have recommended it to friends. This place is absolutely amazing! Such a great venue for a small or large party. And the atmosphere and decor was warm and cozy. Absolutely love this place and would recommend it to everyone I know! Great brunch for my wife and I to celebrate Valentine’s Day. Will be back to enjoy again! Great food, beautiful location. We really enjoyed our visit. Amazing food and service! Would definitely recommend and return! Amazing spot. One of our favorites. The feel and decorating in this place is on another level. Live music on Sat night was nice. The guy was so good. Not a bad value for the money, upscale but less than the Keg. Food is so great, only 4 stars as I'd like to see slightly bigger portions. We'll be eating there more often. Nice folks that work at Honsberger. 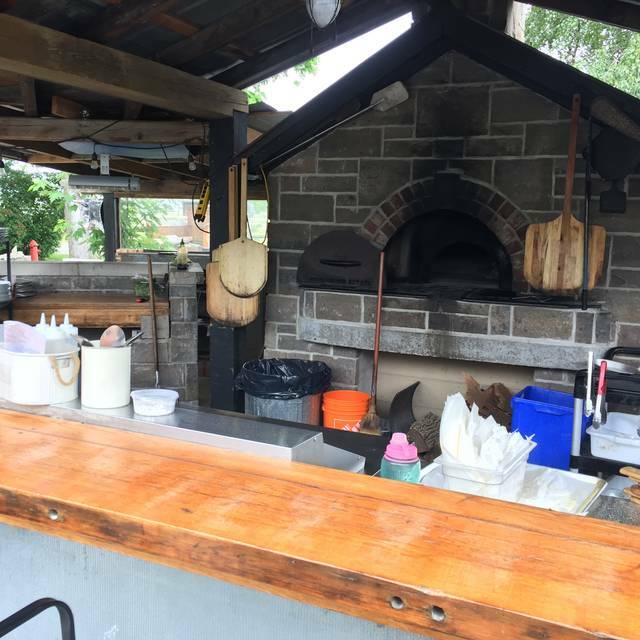 Having only been to Honsberger during the summer we had only experienced the patio and pizza oven, and where very intrigued to find out how things were setup for the winter. We were very pleased, the ambiance was cosy and intimate even though the place was full. They gave us an excellent table near the window. The food was very good and the service was fine. Overall one of the best dining experiences I’ve had in Niagara. Beautiful and quaint decor with dim lighting, delicious variety of food from apps to mains and friendly service. We had lunch at Honsberger. The dining room is cozy and welcoming. Service was excellent. We were welcomed immediately and seated at a great window-view table. They have a nice lunch menu, and we settled on the fried chicken, which was excellent and accompanied by tasty vegetables. We tried their estate Cabernet Franc, which was a perfect compliment to our lunch. We will be back! The ambiance is beautiful and the furniture and seating is very nice. Food was awesome, we both got burgers with fries and it was an awesome meal. Wines over priced so we both went with cocktails and local beer. Other than that it was an amazing experience and we will be back for a pizza in the summer on their patio. I cannot say enough good things about our dinner at Honsberger, it was a beautiful restaurant and the food was outstanding. I am happy that we were able to experience this restaurant before it will be impossible to get a table!! I am so impressed that dinner in the winter is as awesome as the patio is in the summer. Honsberger is a total gem!! Wife and I went for brunch and did not disappoint. Good food; good prices and great location in the renovated barn. This was not our first visit, previously went for our anniversary and was a wonderful diner. The ambiance was very cozy and comfortable! The staff were all very welcoming and friendly. The brunch was delicious (we had waffles and French Toast with lots of yummy fruit toppings). My only complaint would be the presentation of the food -it was served in a cake tin lined with red & white checkered paper , which gave it a picnic feel or hamburger & fries feel. Then there was watercress on top of our French Toast & waffles! It struck me as very odd and in fact annoying (I had nowhere to put the watercress and didn't want to eat it). 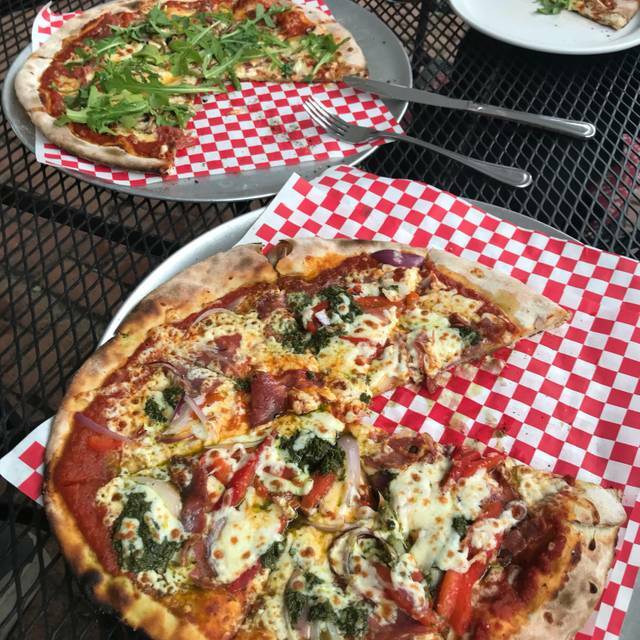 But I definitely plan to try dinner there before it closes for the summer & some of Spring (it turns into an outdoor only place with a pizza oven) whenever the weather turns nice enough (no set date). Absolutely loved this place. Great atmosphere and great food. Was there for my friend's bachelorette. Thank you for making the night a little extra special with a private wine tasting and having a charcuterie board all set up for us. Can't wait to go back. Great atmosphere, good service but my steak wasn’t what I was expecting. Grisly and over cooked. We have been several times and would recommend to any and all. The atmosphere of the barn is very cosy and comfortable, and the staff and ownership are friendly and generous with their time and attention. Very worthwhile! We had such a great experience. The waitress was exceptional, she was able to give us a great overview of the menu. She checked in but also didn’t hover or rush us at all. We had the jalapeño corn bread waffles to start and they were delicious, the right amount of spice and balanced with a few veggies. We split the chorizo Mac and cheese and the balsamic chicken sandwich with salad. 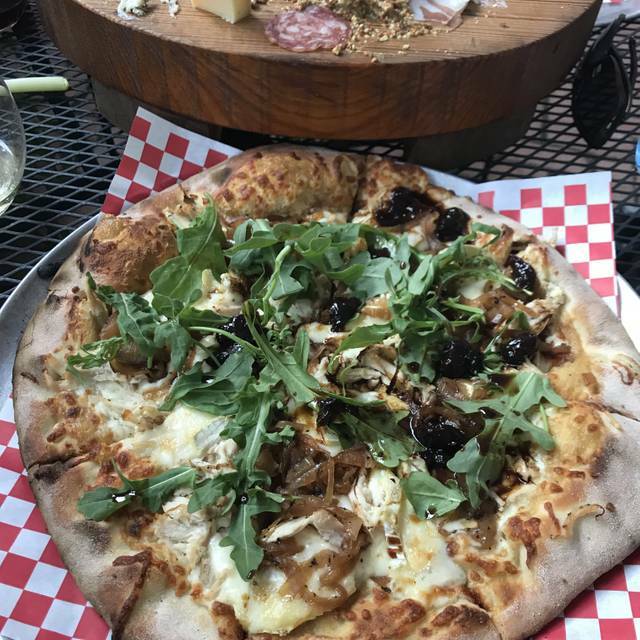 Both options were amazing and there wasn’t a crumb left! The ambiance was spectacular! 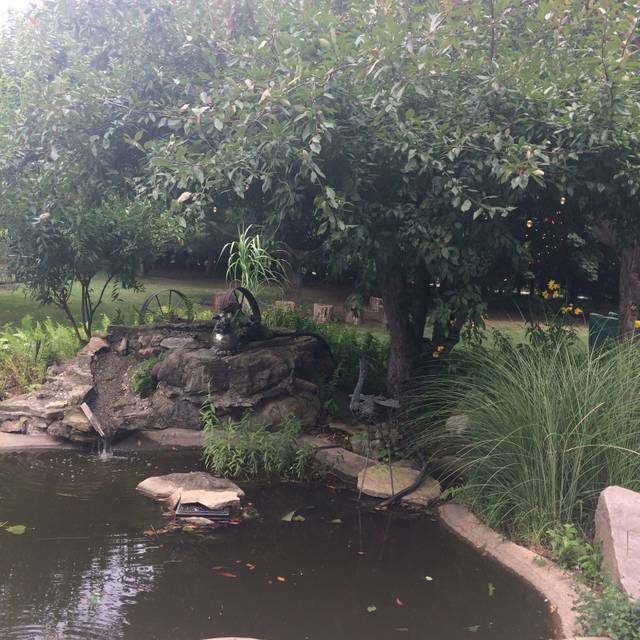 Honsberger Estates was such a great place, food was amazing, atmosphere was cozy and beautiful. Loved our server....most definitely going back.